When the dance masters traveled through Ireland in the 1700s and 1800s, they taught mainly adults and very few children. What a contrast that is to today, when the majority of instructional Irish dance dollars are spent on children and teens. Even with the flux in ages of dancers, it is increasingly clear that anyone who wishes to dance may do so. When you walk into a modern Irish dance studio, the overwhelming majority of students are female children and young adults. The occasional boy is seen clicking his heels and many Irish dance studios now teach adult classes. You may wonder why you should even care whether adults danced in the past. The answer is simple: we can learn how to bring about positive change in the future by examining the past. Adult Irish dancing has seen an increase in the past few decades, as have all things Irish dancing since Riverdance The Show. 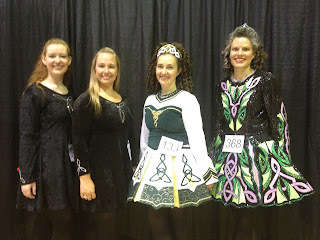 With the increased connectivity of the internet, more Irish dancing adults are supporting each other in their goals whether for competition, performance, or the sheer fun of it. Young champions are continuing to dance into their adult years, some dancers are returning to the now adult-favorable atmosphere and new adult beginners are trickling in. After one hundred years, the demographics in Irish dance have shifted from mostly adults to an overwhelming flux of young dancers. This switch happened naturally and can easily swing in both directions. One can only hope that the door will continue to swing wide and allow dancers of all ages opportunities to express themselves. Where will the adult Irish dancer's journey take him? What possibilities will arise for adults as they brainstorm and find new outlets for their love of dancing? If the world is a stage, adults don’t have to be in the audience. Having a few more birthdays won’t hold them back from pursuing what they are passionate about. 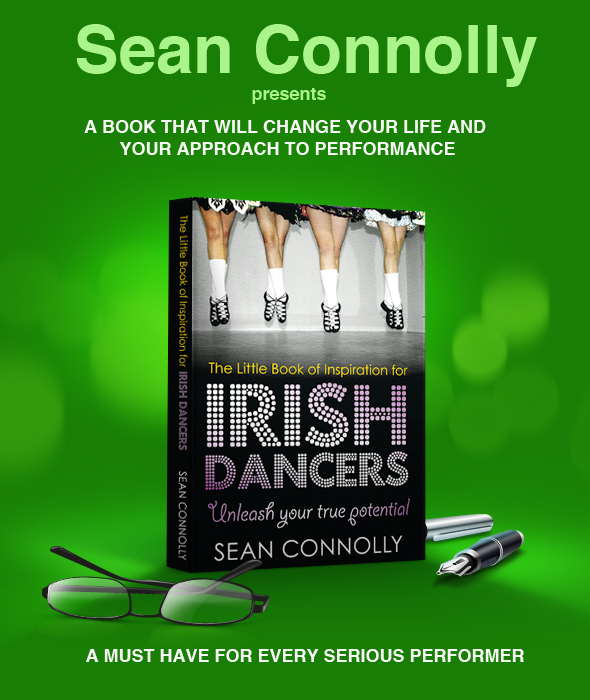 The question is not simply what can an adult Irish dancer do, but what can she can become? *Cullinane, Dr. John P. Aspects of the History of Irish Dancing. Ireland: Published by the author, 1987, p. 44. If you are paying attention to my Irish dance diet, you may have noticed how slooowly the weight is coming off. Mostly it's because I am distracted by the many irons I have in the fire. But I figure a small weight loss is better than none. Seriously, I could be 4 pounds heavier than I was when I started and I'm not! To me, summer is the perfect time to be on a diet. The air is warm and the breeze smells like new life. I think that it is easier to exercise in the summer because the weather is nice and I am more likely to get outside and be active. The sun sets later and there are more hours in the day. It is easier to drag my sorry behind out of bed in the morning if it is light outside. Swimming, hiking, biking, walking, running, dancing, whatever you love, get out and do it! 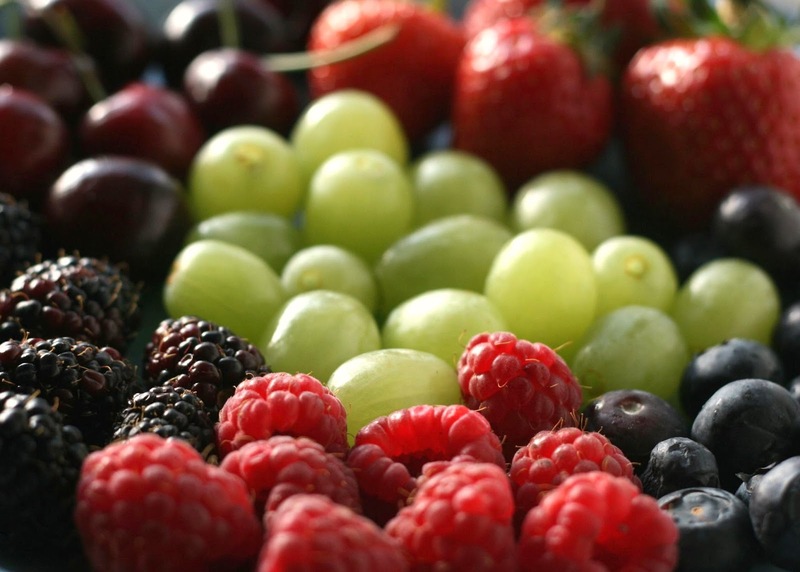 I love fruit, especially berries! Summer fruit is such a luxury and feels like a treat to the dieting me. Strawberries, blueberries, apricots, peaches, apples and cherries! Is your mouth watering yet? I do much better on my healthy eating lifestyle if I feel satisfied, and fruit helps me fill that void. Many feiseanna (Irish dance competitions) offer competitions for adult Irish dancers. Here's a quick glance at feiseanna that welcome adult Irish dancers in June. I used to be really motivated to lose weight and the last few years I haven't been able to muster up that enthusiasm. I think that as my family has grown and I spend much of my time planning, cooking, storing food and the junk food makes its way into my house (how does it do that?) that I have a harder time resisting food. I love to read, so at night I am going to spend the first half an hour of my reading time on the elliptical machine. I won't even notice that I'm working out! I will continue to practice my Irish dancing every week day and attend my classes. The weather is getting warmer and that means bonus walks in the evening with my husband. 2- Weigh each "extra" bite and decide if it's worth taking away from the excellent work outs I am doing. Is a handful of Swedish fish really worth cancelling out the calories burned on the elliptical tonight (sometimes it is, sometimes it isn't)? 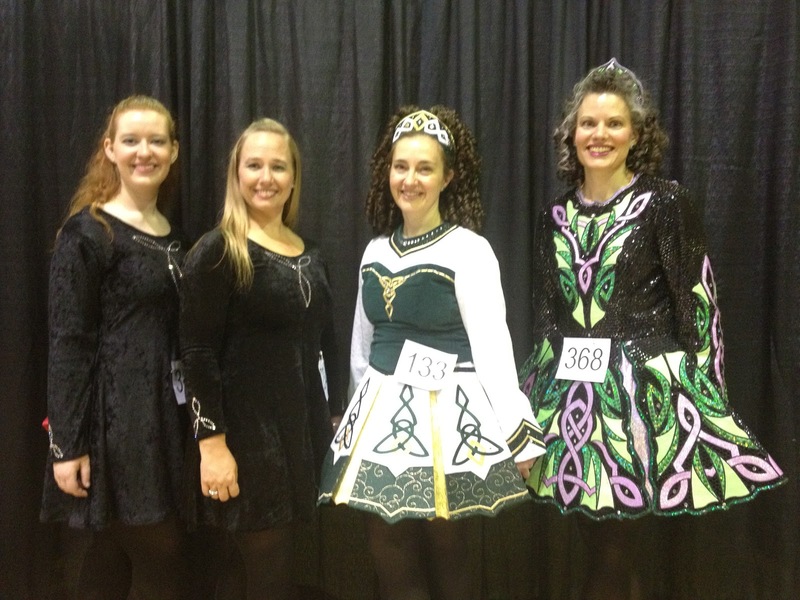 What kinds of exercise do you like to do, in addition to Irish Dancing? Irish dance diet - What's your currency? Motivate yourself! I'm hitting a wall in my weight loss and it's a mental one. I can come up with excuses--being out of town, birthday parties, visiting relatives. But in reality that is just life. And if I want to loss weight permanently, I need some motivation! For motivation, I've decided that because my end reward for losing 30 pounds will be an Irish dance solo dress, I will give myself $20 each time I lose one pound. That way, I can chart my progress, reward myself along the way, and have the cash ready when I reach my ultimate goal. 1- Decide what your currency is. What do you like for a reward? It probably shouldn't be food related if you are trying to lose weight. If you continue to strive for your goal, reward yourself with a new book, a night out at the movies, or even simply a bubble bath. I'm going to give myself a crisp $20 bill each time I lose a pound. 2- Create a visual reminder. Write up what you want to accomplish or create a collage of photos that remind you of your goal. Then put it somewhere where you will see it every day. I am going to post a photo of a solo dress on my bathroom mirror. 3- Use the currency as an anchor. Every time that you are tempted to slip, consciously think of the motivator. 4- Don't forget to reward yourself when you have reached your goal. I can't wait to wear that solo dress! It's week five of the Irish dance diet and I'm steadily plodding along. My husband and I went out of town to a conference over the weekend and it wasn't easy to eat healthy and stay focused. I was dreading the scale when I got home, but pleased to see that I had more than maintained--I had actually lost weight. When you know that you won't be able to control what is offered for meals while you are away, pack some healthy alternatives. That way, you can eat less of the calorie high dinners and go back to your room and have a healthy snack if you are still hungry. It may be different than what you do on a daily basis. You can park your car and walk, take the stairs in the hotel, and take in the sights of a new city on an early morning run. 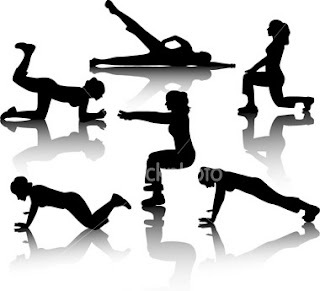 Take advantage of the pool or exercise room in your hotel. 3-Mentally track what you eat. Even if you don't have time to keep track of your eating, keep a mental tally of the high calorie foods. If you've had a bit much, take it easy the next day. 4-Don't step on the scale just yet. When you get home, don't step on the scale right away. Chances are you will be up quite a bit from traveling, retaining water and extra food in your system. Get right back on your diet and wait a day or two before you step on the scale. You may find that you didn't gain any weight at all. 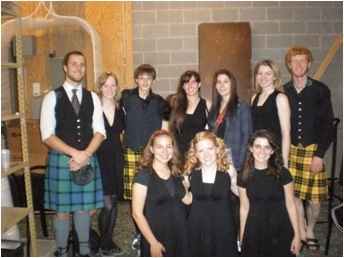 Champion Irish dancer Richard Tew is teaming up with Houston's newest band, The Jig is Up!. The band performs traditional Irish tunes and dance music, with musicians on flute, fiddle, accordian, melodian, and bodhrán. Many of the numbers are traditional Irish dance music, making the band a perfect fit for Richard Tew's Irish dancing. 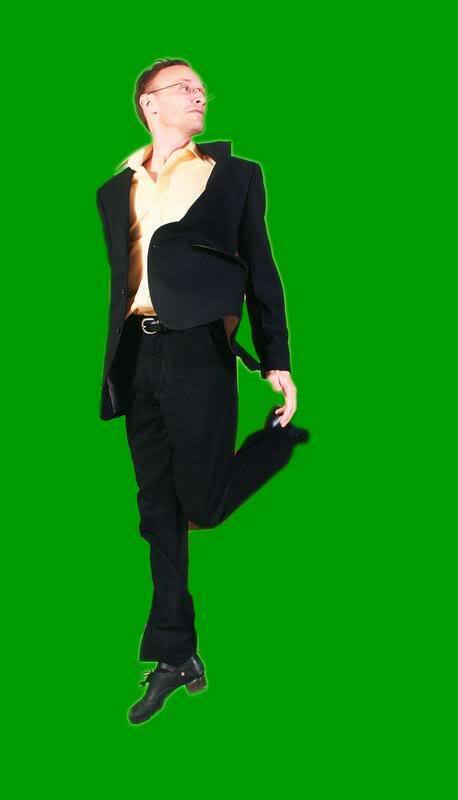 Tew began Irish dancing when he was 20 years old after seeing a local dance school perform. After teaching himself the basics through video tutorials, Tew sought out a dance school. He learned quickly, moving up in the dance levels, winning several state championships and clinching the southern regional championship in 2003. 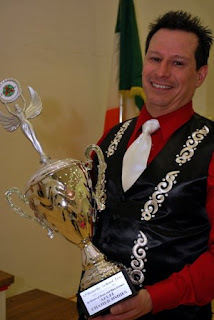 Recently Tew began looking for a way to share his love of Irish dance with others. "I've always wanted to be on the stage," Tew says. He heard The Jig is Up! performing at a local coffee shop and asked if he could dance with them. When he pulled out his hard shoes, the band members humored him. After Tew pounded out the rhythm to their traditional Irish dance music, the group grew excited and asked him to join them for their St. Patrick's Day engagements. "We both had the idea," says Tew. "We wanted to take it to the next level." Tew and The Jig is Up! are not trying to recreate Riverdance, according to Tew, "The costuming and music are traditional, also with contemporary new beats and sounds." The group desires to pay tribute to the music and culture of Ireland and pass it on to the new generation. "We want the audience to leave knowing they saw an original traditional Irish dance, as we know it," says Tew. 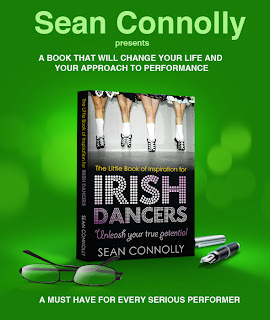 "This is modern contemporary—a competition trained Irish dancer in your neighborhood. It’s good enough to stand on its own." Practices for Tew's first performance with the band are in full swing. Tew says that it can be challenging to dance in time to the band's music, which is more spontaneous than the live music played at Irish dance competitions. "They love to improvise, " Tew says, "And it’s natural for them to improvise and let loose, but it can’t deviate for a dancer." "Don’t give up. If it’s really what you want to do, do it. If you want to be good, you have to put in twice as much work to do it. Don’t let competition be the end of your experience.The enjoyment is better than how many trophies you bring home. " The Jig is Up! with Richard Tew will be performing at the Barnevelder Movement/Arts Complex, 2201 Preston, Houston TX 77003 on Saturday, May 12 at 7:30 pm. Families who have many children understand how hectic life can be when each child is going in a different direction--soccer on Tuesday, dance on Wednesday, piano on Thursday, and so on. When a majority of the family does the same activity, there is less running around and juggling of schedules. Many dance schools offer family discounts and most feiseanna have a family maximum on fees. Expensive shoes and costumes can be passed down to younger siblings. 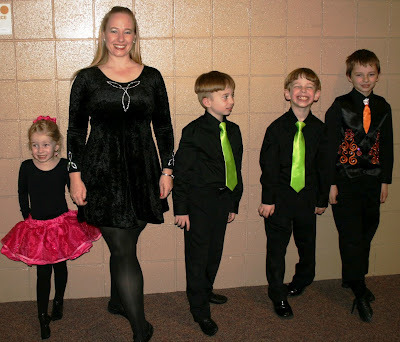 Melissa Cleverly, an adult dancer from Scariff School of Irish Dance in Utah says, "I just put shoes that are too small in a bin, and when a younger sibling needs a pair of shoes we go to the shoe bin to get pair of shoes." How great is it for kids to see their parents making goals, then working toward them with vigor? "We all practice together and are at dance together," says Cleverly. "It is so fun to have this common interest in our family. Everyone in our family has something in common with one another." Adults who go to practice and work toward a future goal give their kids the gift of ambition and the belief that they, too, can do anything they put their mind to. Readers: Are you an adult Irish dancer who shares the journey with other family members? Do you have any great memories of your time together? How do you cope with scheduling conflicts and costs? Please comment in the box below for replies and contact information! I injured myself last Monday in class while practicing for a feis. I've been working very hard to strengthen my body and learn my new dances and with a strained calf muscle I couldn't even go up on my toe. To add insult to injury, I gained weight last week and was trying not to feel overwhelmed with the fact that I now had to lose a few extra pounds. When set backs happen, I struggle with wondering why am I pushing myself so hard and spending so much time working toward a goal that many people view me as too old for. I begin wondering if those naysayers are right. I decided that I would be as positive as possible. I let my leg rest and I practiced my dances in my head. 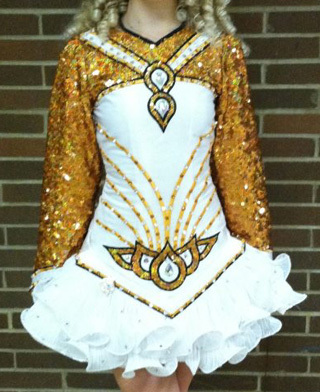 I stretched each day and continued to prepare for the feis. I ate healthy and walked for exercise. By Thursday I was able to dance full out, after a full warm up. I attended the feis (for the first time since I put my back out last summer) and had a great time visiting with some of my feis friends. And the icing on the cake? I lost the weight I gained plus a bit more. In reflection I realize that if I had given up to the voices that tell me that I am too old, or I am injured, or I can't lose the weight, I would be right where I started on Monday evening. I now have momentum and confidence that my goals are attainable. Don't give up your goals. Push forward with faith and perseverance. If your goals are realistic for you, keep at them and don't give up! What do you do when obstacles are placed in your way? How have you overcome setbacks?